My week of recaps continues with a quick look at the Keeping Up With Jones 5K that happened on Saturday morning, October 18th. 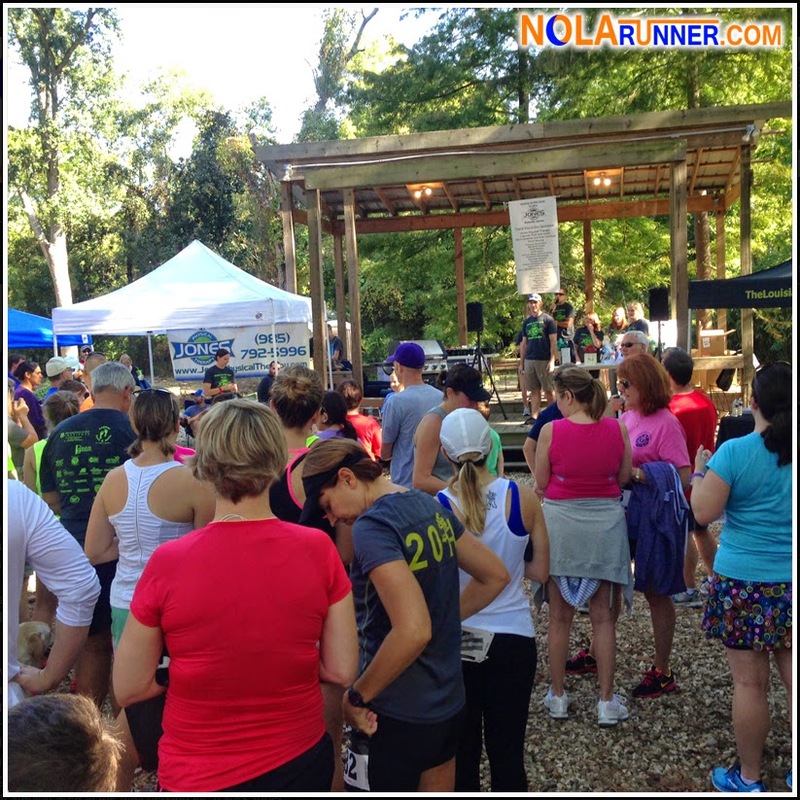 This race is put on by Jones Physical Therapy in Madisonville, Louisiana, with the 2014 edition being its sixth running. This year the benefiting organization was The Methodist Children's Home. Janel, a running friend who lives on the north shore, convinced me that I should make the early morning drive across the Causeway two days in a row to run this race prior to a scheduled half the next. Her case was made easy thanks to the Keeping Up With Jones 5K partnering with the Gulf Coast Half Marathon Series to do a Back-2-Back Challenge. Run the 5K on Saturday morning, then run the north shore half marathon on Sunday, and receive a special Back-2-Back medal. Throw in a promise of plenty door prizes, I'm sold. 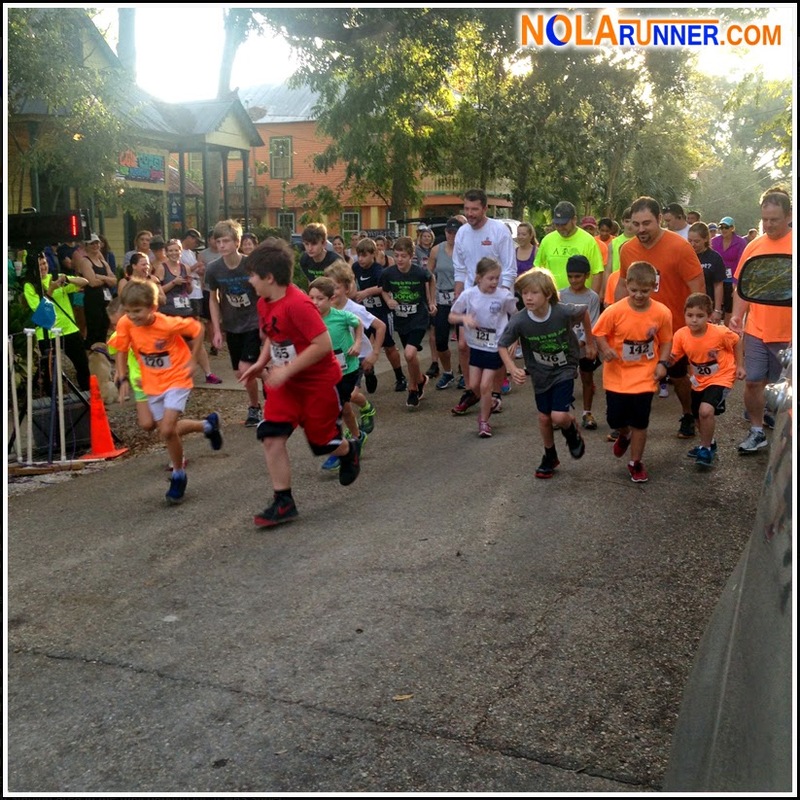 The informal race start and finish was conveniently situated just outside the front door of the Mandeville Varsity Sports, with plenty of street parking throughout the neighborhood. The packet pickup was quick and easy, leaving plenty of time to watch the 1-mile kid's run before the 5K started. Janel and I lined up together for the informal start, and took off with about 200 other participants. 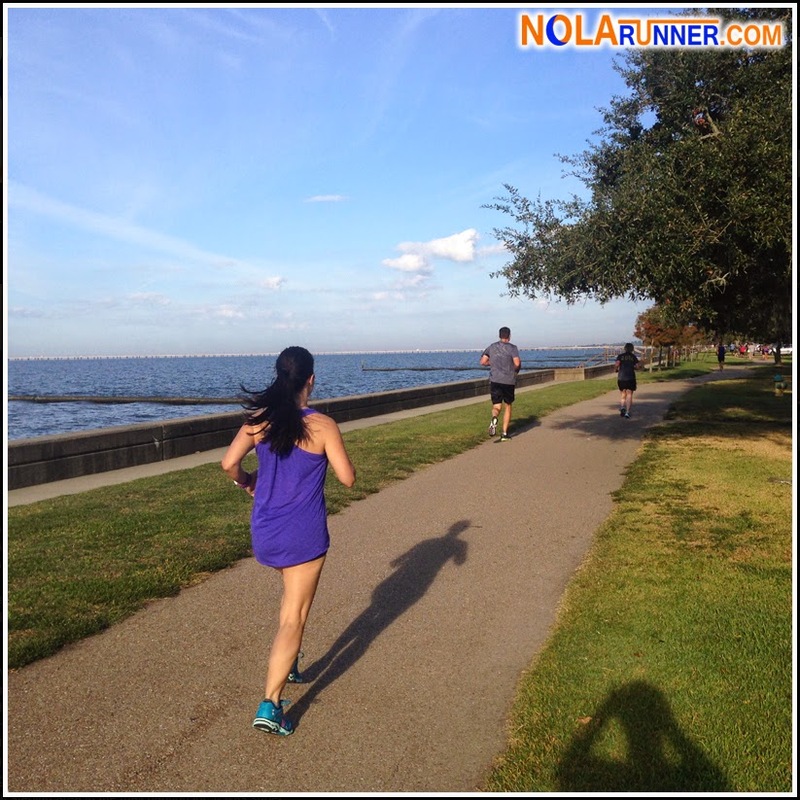 The flat and scenic course took runners up and down the Mandeville lakefront, through the adjacent neighborhood, and finished right back where we started. It was a quick race on a cool morning, and a pleasant warm-up for the half marathon the next day. The party that followed the 5K was something much larger races could learn from. The restaurant next door to Varsity Sports, the Broken Egg Cafe, provided eggs, bacon, biscuits, and yogurt parfaits. In addition, the local Starbucks provided coffee and pastry, Smoothie King poured small strawberry smoothies, and ice chests overflowed with bottled water and canned beer. It was an impressive spread for a gathering of local runners. The post-race ceremony had age-group awards 2-deep in 5 year increments for both the 5K and 1-mile events. Much to my surprise, I was called up for coming in first in my age group. My pace was nothing to get excited about, but I'll take the cool coffee mug and ego boost any day! It was also cute to see fellow blogger / friend Jenn's 3 year old son win his 1-Mile age division and get to go on-stage to accept his prize. A laundry list of large door prizes were given out after the race awards, including pieces from local artists, gift certificates from Varsity Sports, massage packages, wine baskets, movie vouchers, and more. The grand prize grill was the main attraction, and was presented to a very excited participant. Sometimes I get wrapped up in bigger events with flashy branding and larger participation fields. While those events are great, these small events can pack a lot of punch. They are affordable, benefit great charities, attract a very local audience, and can be even more fun. This is one of those events, and I'd recommend it in future years.